Sunday’s game recognizes the fight against pediatric cancer, honors those who battle it, and will include a Bravery Award presentation at halftime. There will be a fundraiser where fans can donate an amount per made Clemson free throw. Sign-ups for the pledge, which will include gold t-shirts and bracelets, will be held in the Burton Gallery. Clemson won its season opener against Coastal Carolina, 64-57, on Nov. 11. Freshman Jaia Alexander led the Tigers in scoring with 15 points and added seven rebounds. Three other Tigers also scored in double digits – Danielle Edwards (14), Nelly Perry (12) and Alexis Carter (10). Freshman Kobi Thornton tallied eight points, eight rebounds, two steals and an assist. Perry, a junior, finished with a game-high nine rebounds. Sophomore Edwards’ six steals ties her career best. The Tiger defense held the Chants to 28.4% shooting from the field (19-67) and forced 21 turnovers. Head Coach Audra Smith notched her third straight win in season-opening games, as the Tigers won their openers in 2014, 2015 and now 2016. It was the first game played in Clemson’s newly-renovated Littlejohn Coliseum, a venue that saw a perfect opening day as later that evening, the men’s team defeated Georgia, 74-64. 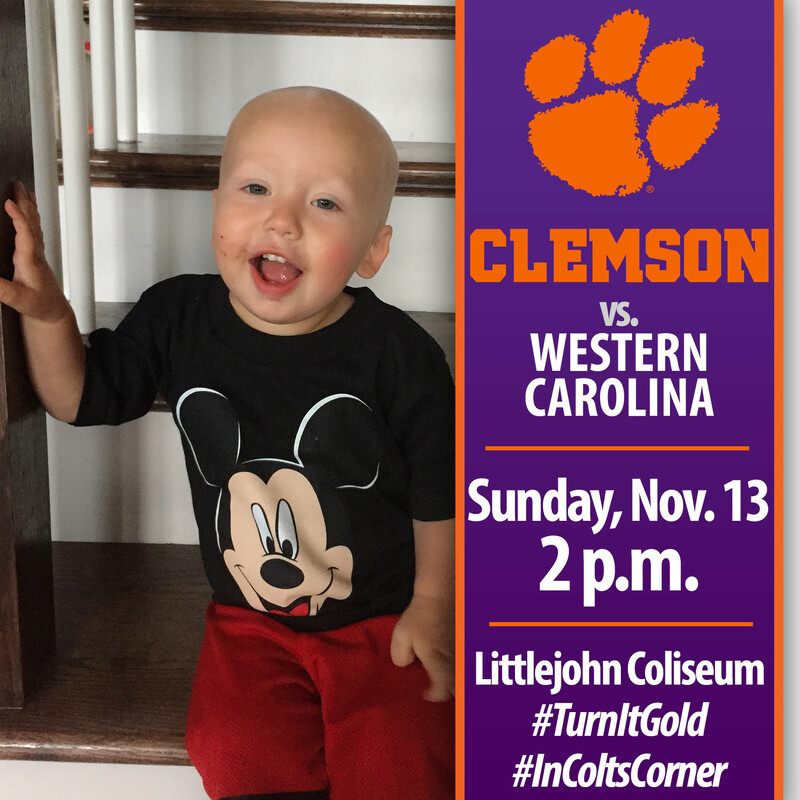 Clemson enjoys a 7-1 all-time record against Western Carolina and a 4-1 record in home games at Littlejohn. The two teams last met on the hardwood in Cullowhee, N.C. on Feb. 4, 2009, when the Tigers brought home a 73-64 victory.